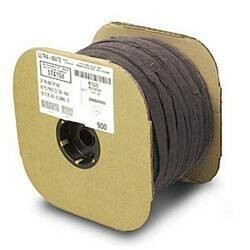 • Spools contain 230 straps. 23-1/2" x 1-3/4" Velcro® Brand One Wrap® Straps Black 230/Spool • Velcro® brand One-Wrap® Cable Ties are made with low-profile polypropylene hook and nylon loop, back to back, creating a product that can be wrapped around itself. • This product is great for cable management and for fastening products together. • Spools contain 230 straps. Size: • Length:23-1/2" • Width: 1-3/4"